Born on August 23rd in 1994, Jusuf Nurkic spent most of his childhood in Bosnia. As it was with Denver, Nurkic faced problems with game time early in his international career. In October of 2012, the 7″0 center signed a four-year contract with the Cedevita Zagreb, a Croatian team. In his press conference post-signing, Nurkic claimed he joined the team with aims of gaining minutes and play time. That’s exactly what he got. In his second season in the Adriatic League, he averaged 11.6 points and 5.6 rebounds grabbing attention all the way from the United States. Selected by the Chicago Bulls with the 16th overall pick of the 2014 draft, he was traded away to the Denver Nuggets in exchange for Anthony Randolph and Doug McDermott. With such disdain and discomfort growing in the locker room at the same rate of Jokic’s success, it was no surprise that he was traded before the deadline. In exchange for center Mason Plumlee and a second-round pick, the Nuggets traded Jusuf Nurkic and a first-rounder to Portland. At first, Trailblazer fans were stunned, as Plumlee had grown to be a fan favorite in the Moda Center. However, after 8 games with the team, Nurkic has been welcomed with open arms above all in his new town. It isn’t much data to report off of, as each player has played less than 10 games since the trade. However, the quick start that Nurkic has taken to in Portland speaks for itself, in terms of winner of this trade. 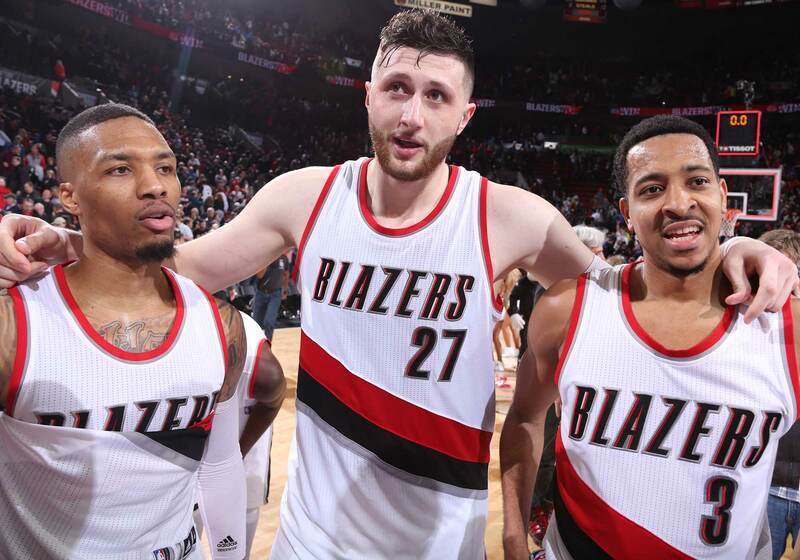 After Thursday nights performance against the 76ers, it is clear that Nurkic will have no issues fitting in, with the Trailblazers. All stats and information provided by the Denver Post, the Oregonian, and ESPN.